Find new activities to do this week in Maricoipa, from community theater and slam poetry to the 2nd Saturday Market. 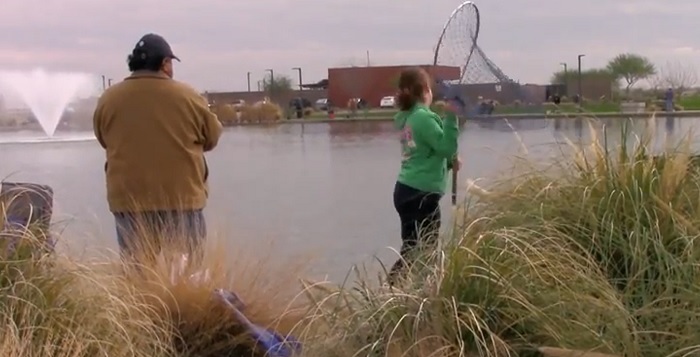 Below, city Events Manager Niesha Whitman invites Maricopans to Saturday’s Family Fishing Day. For details on these and other events, or to add your own, visit InMaricopa.com/Calendar. Maricopa Historical Society Meeting is at 5:30 a.m. at Maricopa Public Library, 41600 W. Smith-Enke Road. Casa Grande Ruins daytrip leaves at 9 a.m. from Copper Sky Multigenerational Center, 44345 W. Martin Luther King Jr. Blvd. Creative Sisterhood meet at 9 a.m. at Santa Cruz Elementary School, 19845 N. Costa del Sol Blvd. Harrah’s Club 777 Toastmasters meet at 3 p.m at Harrah’s Ak-Chin Casino, 15406 Maricopa Road. AWANA is at 6:30 p.m. at First Baptist Church, 18705 N John Wayne Parkway. “Sabrina Fair” is performd by Maricopa Community Theatre at 7 p.m. at Leading Edge Academy, 18700 N. Porter Road. Family Fishing Day is at 8 a.m. at Copper Sky Multigenerational Center, 44345 W. Martin Luther King Jr. Blvd. Coffee with the Chief is at 8 a.m. at Maricopa Police Department, 39700 W. Civic Center Plaza South. Second Saturday Maricopa Market is at 8 a.m. in the Sequoia Pathway parking lot, 19265 N. Porter Road. Runnin’ on MT plays at 4:30 p.m. at Arroyo Grill at Ak-Chin Southern Dunes, 48456 W. Hwy. 238. All-Arizona Poetry Slam Championship is at 7 p.m. at Honeycutt Coffee, 44400 W. Honeycutt Road, Suite 109.